5.4" x 7.3" stitched on 14 count. 4.2" x 5.7" stitched on 18 count. 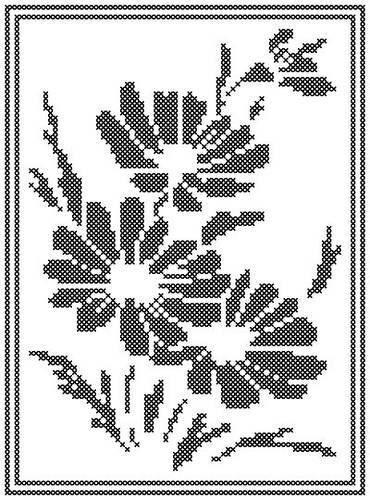 Daisy Silhouette cross stitch pattern... A pretty daisy silhouette to put on your kitchen or dinette wall.